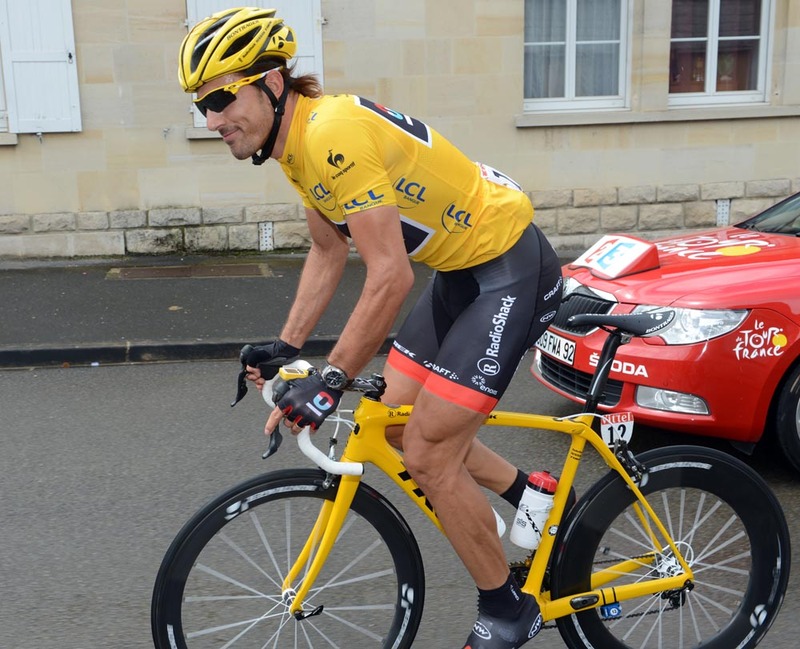 Bradley Wiggins has kept his yellow jersey hopes alive in a crash-marred sixth stage of the Tour de France that effectively ended the campaigns of some of his rivals. Race debutant Peter Sagan (Liquigas-Cannondale) convincingly won his third Tour stage besting an injured Andre Greipel (Lotto-Belisol) and Australia’s Matt Goss (Orica-GreenEdge) after a huge crash within the final 25km split the peloton. 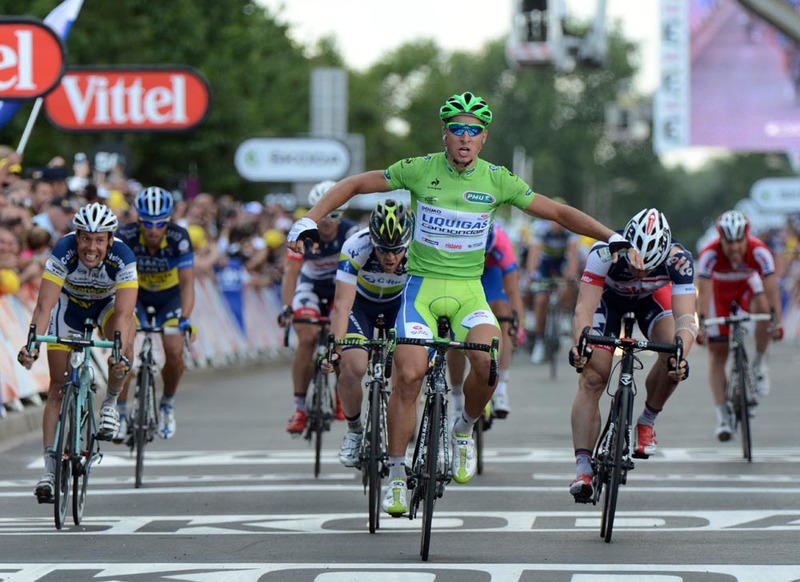 The 22-year-old Sagan is the 15th rider to win three stages in a Tour debut. World champion Mark Cavendish wasn’t caught in the pile-up, but suffered from a puncture which saw him fall back into a chase group. He rolled in more than six minutes behind the race winner and all of his Sky teammates, excluding Edvald Boasson Hagen who was also distanced, supporting Wiggins in the small front split. Wiggins, Cadel Evans (BMC), Denis Menchov (Katusha) and Vincenzo Nibali (Liquigas-Cannondale) did not lose time in what was the last opportunity for the sprinters until Saturday week and a stage not expected to shake-up the general classification. 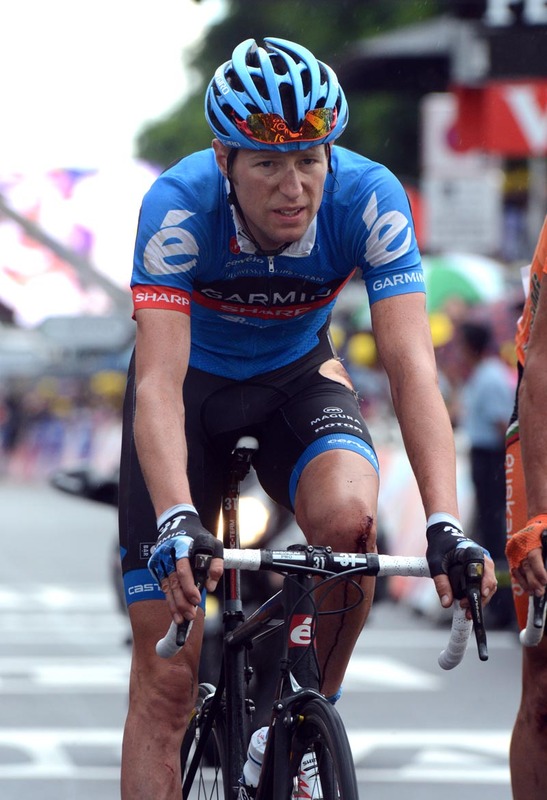 Garmin-Sharp team leader Ryder Hesjedal’s yellow jersey campaign seems over. The Giro d’Italia champion lost more than 13 minutes after hitting the tarmac. Rabobank’s Robert Gesink lost more than three minutes and RadioShack-Nissan’s Frank Schleck more than two. Wiggins lost one of his key domestiques in Kanstantsin Siutsou to a crash earlier this week. Richie Porte, another of his workers, did not escape today’s carnage finishing 13 minutes and 24 seconds off the pace but reports suggest is not seriously injured. A break of four riders including Karsten Kroon (Saxo Bank-Tinkoff Bank), Davide Malacarne (Europcar), Dave Zabriskie (Garmin-Sharp) and Romain Zingle (Cofidis) comprised the break of the day. The quartet, which escaped about 10km into the 207.5km stage, held a maximum time advantage just under seven minutes that dropped to less than a minute with some 40km remaining. Zabriskie, the only Garmin rider to have escaped injury so far this Tour, was the last to be caught within the final 2km. Greipel was involved in a crash 35km into the stage suffering skin abrasions and a cut to his thumb. Despite reports the 29-year-old, who has won two stages of the Tour so far, would not contest the finish, as a result, he was there. Orica-GreenEdge set the pace at the pointy end of the race, determined to deliver Goss to his career first Tour stage win but was forced to settle for another top five result. Goss was the best of the bunch outsprinting Cavendish at the intermediate check earlier in the race and after his podium place remains in the points classification mix. The Tour changes pace tomorrow as the peloton heads toward the mountains.